Following the new partnership between the German open source platform BEXIS 2 and the academic publisher Pensoft, scientists are now able to publish data papers in three of the most innovative Pensoft journals: Biodiversity Data Journal (BDJ), One Ecosystem and Metabarcoding and Metagenomics (MBMG), using EML data packs from BEXIS 2. In order to encourage and facilitate high-quality data publication, the collaboration allows for researchers to easily store, analyse and manage their data via BEXIS 2, before sharing it with the scientific community in a creditable format. The newly implemented workflow requires researchers to first download their data from the free open source BEXIS 2 software and, then, upload the data pack on Pensoft's ARPHA Journal Publishing Platform where the data can be further elaborated to comply to the established Data Paper standards. Within the software, they can work freely on these data. Having selected a journal and a data paper article template, a single click at an 'Import a manuscript' button transfers the data into a manuscript in ARPHA Authoring Tool. Within the collaborative writing tool, the data owner can invite co-authors and peers to help him/her finalise the paper. Once submitted to a journal, the article undergoes a peer review and data auditing and, if accepted for publication, is published to take advantage of all perks available at any Pensoft journal, including easy discoverability and increased citability. "I am delighted to have this new partnership between Pensoft and BEXIS 2 announced," says Pensoft's founder and CEO Prof. Lyubomir Penev. "I believe that workflows like ours do inspire scientists to, firstly, refine their data to the best possible quality, and, secondly, make them available to the world, so that these data can benefit the society much faster and more efficiently through collaborative efforts and constructive feedback." "With scientists becoming more and more eager to publish research data in data journals like Pensoft's BDJ, it is important to provide comprehensive and easy workflows for the transition of data from a data management platform like BEXIS 2 to the repository of the data journal without losing or re-entering any information. So we are absolutely delighted that a first version of such data publication workflow is now available to users of BEXIS 2." says Prof. Birgitta König-Ries, Principle Investigator of BEXIS 2. 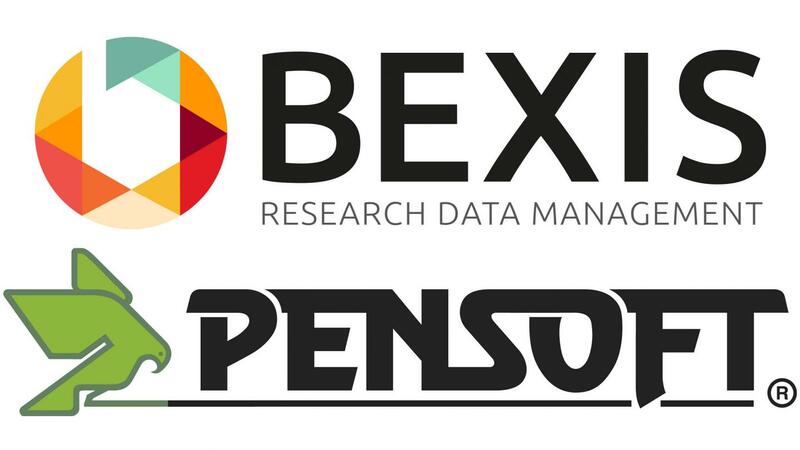 The collaboration between Pensoft and BEXIS 2 is set to strengthen in the next few months, when a new import workflow is expected to provide an alternative way to publish datasets. In 2015, Pensoft launched similar workflows for DataONE, the Global Biodiversity Information Facility (GBIF), and the Long Term Ecological Research Network (LTER). BEXIS 2 is a free and open source software supporting researchers in managing their data throughout the entire data lifecycle from data collection, documentation, processing, analyzing, to sharing and publishing research data. BEXIS 2 is a modular scalable platform suitable for working groups and collaborative project consortia with up to several hundred researchers. It has been designed to meet the requirements of researchers in the field of biodiversity, but it is generic enough to serve other communities as well. BEXIS 2 is developed at Friedrich-Schiller-University Jena together with partners from Max-Planck Institute of Biogeochemistry Jena, Technical University Munich and GWDG Göttingen. The development is funded by the German Science Foundation (DFG). Flagman titles include: Research Ideas and Outcomes (RIO), One Ecosystem, ZooKeys, Biodiversity Data Journal, PhytoKeys, MycoKeys, and more.